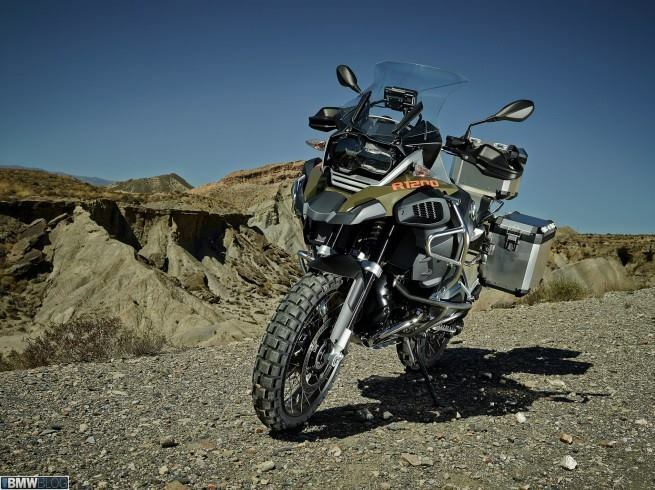 The GSA is even bigger than the GS, thanks to more suspension, a wider fuel tank, and crash bars all around. It just seems so “Big”. Massive. This is just not my type of bike. At all. I don’t like big bikes. See, after awhile the other fellas at M.O.C. noticed that while I was willing to learn about the GS’s, I tended to avoid them. I had no interest in riding them… So they worked on that. And I finally relented. 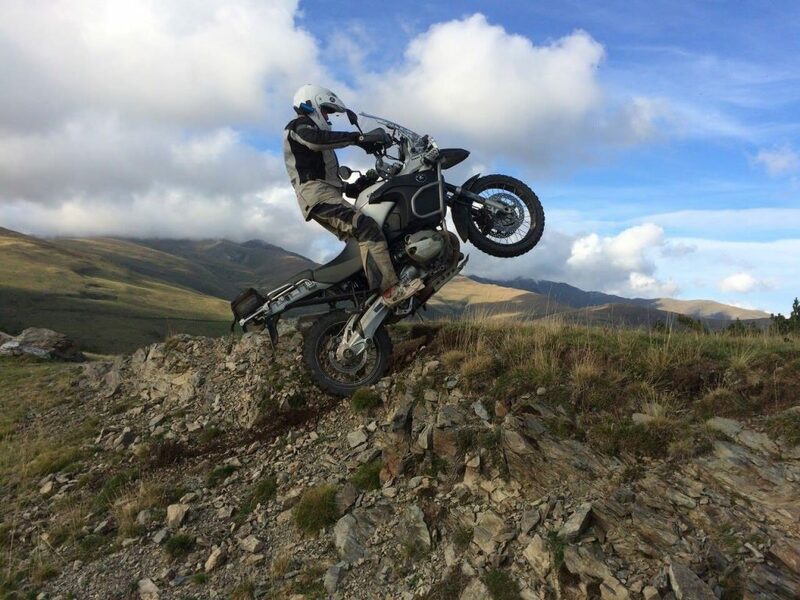 And very quickly, I learned why the GS is the ADV Bike of choice… and why the GSA is the King of Adventure. Take away all the electronics, strip the bike to just it’s core components, and let’s start there. It’s all about that Boxer Engine. That signature, classic BMW hallmark… that’s what makes these bikes so bloody good. The Boxer engine is mounted low in the frame and the design of the engine keeps the Center of Mass very low. And the heavier parts of the engine are even lower. And because of the physics of Leverage, the whole bike feels much lighter that it really is. 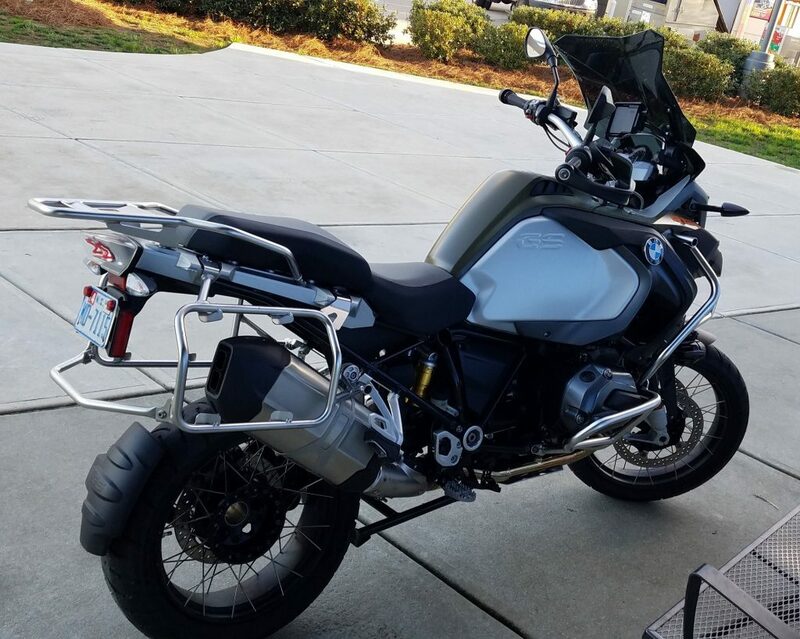 The difference between an F800GSA and an R1200GSA is about 35 to 45 pounds in favor of the 800. But when it comes to how it feels, thanks to the lower center of gravity in the 1200, the 1200 feels like it weights almost half of the 800. Here’s another factor, thanks to the Boxer engine’s configuration, the crank and the flywheel all being inline as it is and so low… when in a lean, it feels like the bike is rotating around that Center of Mass. Unlike in other bikes (say the Triumph Explorer) where you are moving the center of mass and picking it back up coming out of a curve. This negates the mass of the engine and makes the GS feel very light and agile despite it’s actual size and weight. Or in other words… The Weight is a Lie. The big bike’s agility is incredible. You can chuck it into curves like a Sport Bike. You can do some very technical off-roading. And it’s fantastic in low-speed maneuvers. Standing on the pegs, you can come to a complete stop and then go again, and take a tight turn with no problem or danger to your confidence. The bike is just so stable. The numbers that the R 1200 Boxer Engine delivers is very good. It’s churning out 125 horse power – which is a lot. It’s not as high as the Ducati Multistrada’s 160… but it doesn’t need that. Where the Boxer excels is in the Torque. 92 Foot Pounds of it. Which is a chunk better than the Multi’s 85… but better yet, the GS makes that torque in the lower RPM ranges where it’s so very useful. You don’t have to rap out the GS to get the power like the other bikes. This gives the GS an almost perfect balance of engine to bike dynamics… it’s just feels so “Right”. I’ve got to give the Germans all the credit they deserve here… For this bike, of it’s size and weight and for it’s intended purpose, they have engineered the perfect engine for it. It’s perfect. 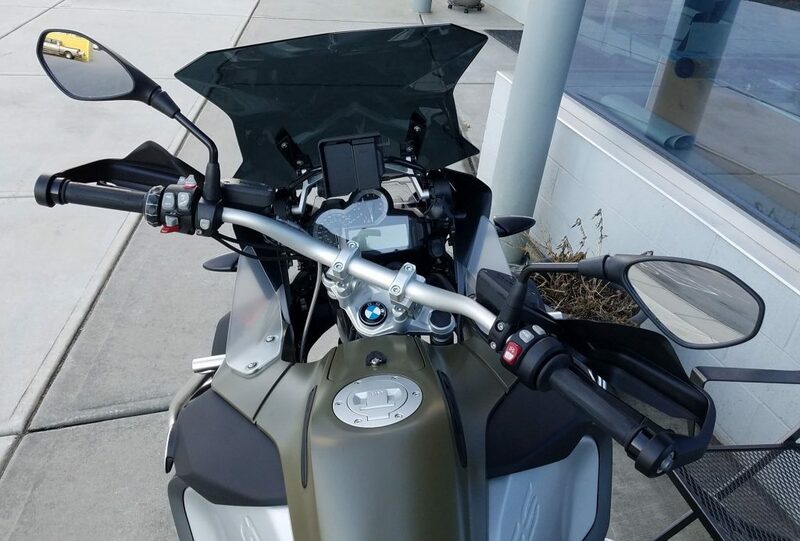 The GS series, as well as all of BMW’s bikes, really shine in the area of it’s flight controls. All the Avionics are clear and easy to read… and more importantly, all the controls are laid out in a way that makes us wish that all bikes were like this. Heated Grips, Cruise Control, ABS, ESA, Ride Modes… All very easy to understand and adjust. 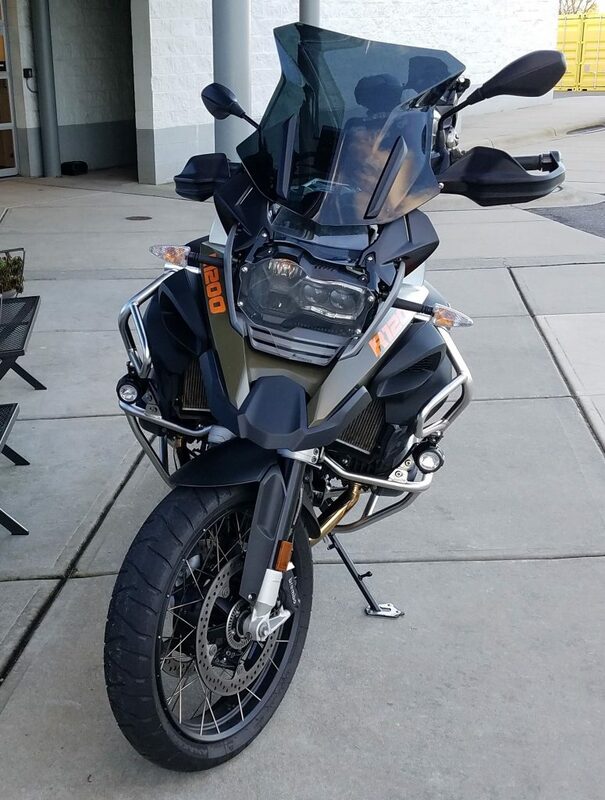 Having never sat on a GS before, it only took a couple of minutes to sort out how everything worked. It was both logical and intuitive in exactly the same way the competing Ducati is not. That bike, you really need to spend time reading the manual. 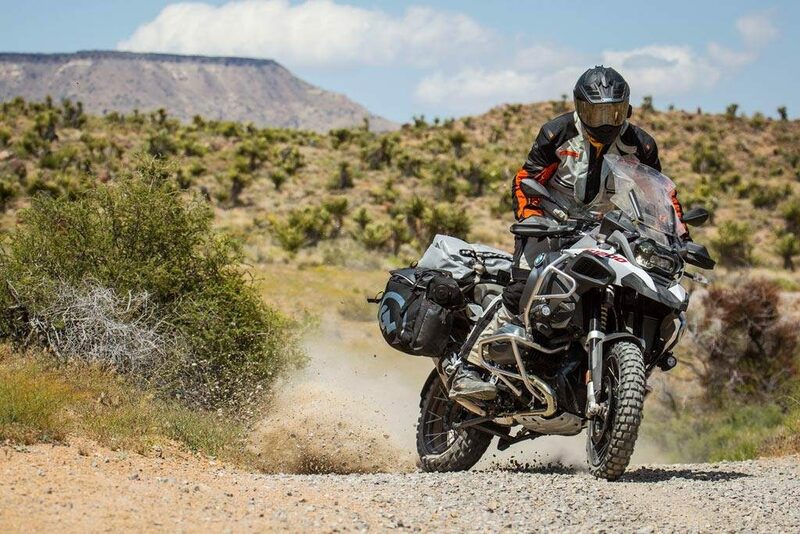 The BMW’s layout will let you figure it out in short order, so easy in fact, that if you can’t figure it out – you probably shouldn’t be riding anything on two wheels that has a motor. The other brilliant thing on the GS is the Seats. It’s exceptionally simple to pop the seats and make adjustments. They are also very comfortable, even on long rides. The GSA is no longer a Water Buffalo, like I once thought it was. It’s probably the most complete, well rounded, and most capable Motorcycle that money could buy. Period. It’s a fantastic machine. A lot of you guys are saying that it’s also a very expensive machine… And you might be right… it is. But in the grand scheme of things, it’s really a hell of a value. Because you really do get what you are paying for here. 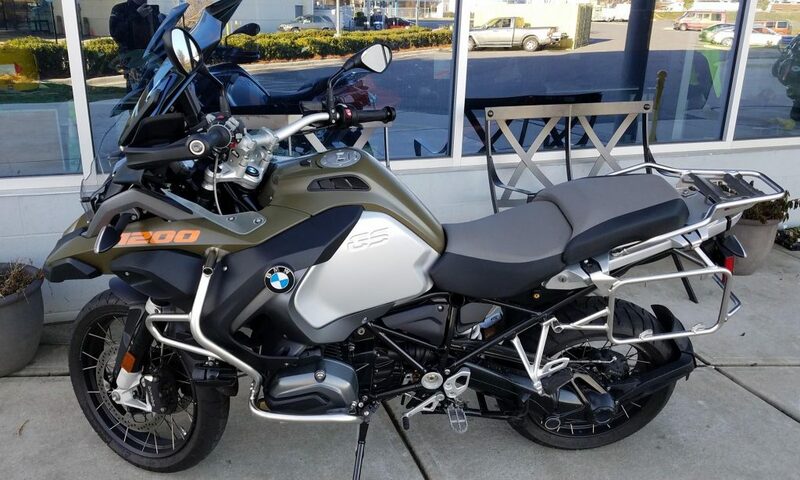 Harley Davidson sells a ton more bikes that are just as expensive or more so than a BMW GS/GSA… And you don’t get nearly the full spectrum of capability. And if you compare new bike prices to new car prices… you are basically getting a simple Toyota Corolla for the same amount of money. But in the BMW, you are getting the top of the line, industry leading – hell – industry defining, ultimate motorcycle. Besides… what guy has ever really said that they really really want a Toyota Corolla? Congrats on expanding your horizons. Yes, they are very expensive but when you buy one there’s really not a lot you need to add or subtract to to have the best there is. I hate buying something and then spending the next two years and God only knows how much money getting it “right”. Almost 57 years old. Saw my first R80Gs sometime in the early 80’s. “One day I will have one of those and ride it to Colorado” I said. Ended up owning a 98 GS Anniversary when I was 55. Rode it to Colorado … all over Colorado. Jesse and Wolfman Bags, Moss Tent, Alcohol Stove, Fly Rod, Waders and 500 miles across Kansas. 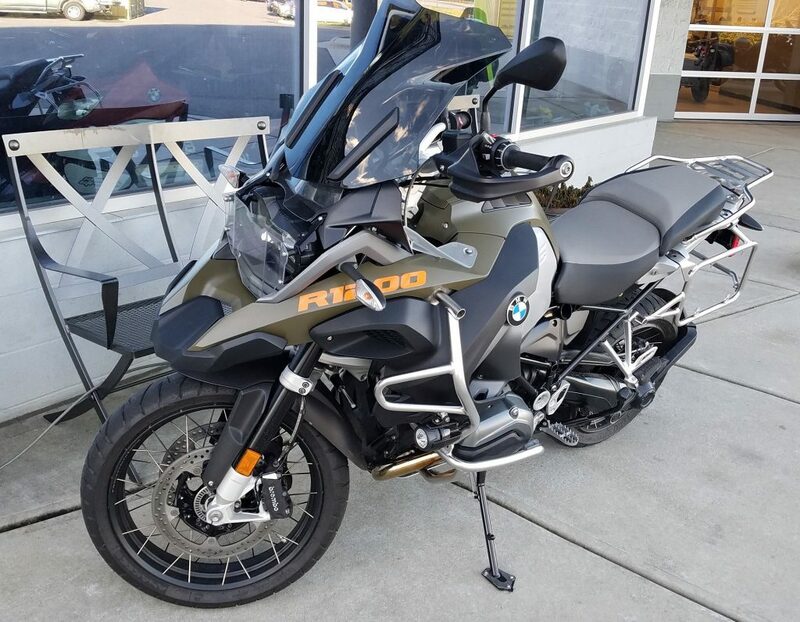 (here’s where my photo of Molas Pass goes) Rode home – sold the 98 to a friend went and bought a 2015 White GSA Dynamic ESA with Heideneau’s Wowzer! (Photo of campsite and Beemer in Boston Mountains/Northern AR goes here). Spending tons of time in the Southern Missouri/Northern AR backwoods on Forest Service Roads looking for quiet places to camp and swing in a hammock looking skyward. Total noob on the firearm thing. Thinking it would be a good idea to have a last resort plan for, unplanned encounter with either full grown Male Black Bear or full grown Male Hillbilly Meth Cook. Seems like all three of us seem to like the same solitude. Don’t dig the semi-auto thing. Too complicated, too many sliding pieces, switches and releases. I have the left grip of the GSA for that. Love the S&W wheelo’s, …don’t love the child safety lock (aka the angry black bear’s second chance) So,.. the noob here, now has about 500 rounds under his belt with both the GP100 4″ and the Sp101 2.5″. Trying to decide. Need to CCW in a small backpack/hydration pack (probably the GP’s out because of the size). Would like to use a couple of speed loaders for a total of 15 chances. Thoughts? Let me put it this way… I don’t like Bears. Black, Brown… Doesn’t matter. I’m very Equal Opportunity when it comes to any Bruins. See, I don’t like things that could devour me. So when I tread in Bear Country, I don’t mess around. That’s what my 4″ GP100 Match Champion is for. Loaded with 158 SJHP Federals. Any stout loaded 158 grains is where you want to be with a .357 Magnum. Now, most of the time, I do not expect to encounter any Bears… And this is what my SP101 3″ is for. Same Ammo though. I reload from Bianchi Speed Strips. Because I can carry 2 to 3 of them in a back pocket quite easily.